2018 was an intense year in the world of search engine optimisation. We saw major algorithmic changes that left a large part of the industry scratching their heads. From the Mobile-First Indexing roll out in March to the “Medic” Core Update in August, it was a year full of changes and trends. For those that made it out of 2018, congratulations. It is safe to say that SEO in 2019 will concentrate on mobile and speed related efforts since that is the direction that Google has taken. Nevertheless, game changers that do not make use of Google must not be ignored. Here are a few trends that you should be on the lookout for in 2019. This is a trend that began back in the month of March 2018 when Google announced it on their Webmaster Central Blog. Google has moved from looking at desktop versions of pages and has put more focus on the mobile version, indexing these pages first in the SERP’s. If a website does not have a mobile version, then the site’s pages will not display suitably on mobile devices. Will Google Still Be Interested in the Desktop Version of Your Site? Of course, but it’s mobile that takes first place. If your competitors have correctly optimised for mobile and you haven’t, expect to get leapfrogged in the SERP’s. There is, therefore, need for websites that have not updated for mobile browsing to do so promptly. Google advises websites to use responsive design in order to make it possible for all types and sizes of mobile devices to be able to support their pages. What If a Website Has Both Versions? Sites on both versions should contain identical primary content. Both site versions must include metadata-like descriptions and titles. Both site versions should include structured data. SEO is not just about appropriate keywords; it also about utilising the keywords such that the website delivers on the expectations of the target audience. The intention of the site is to attract users who are searching for products, services or information that the website they are on offers. Consumers will type in certain phrases in a search engine which in return provides various results directly connected with the phrase typed. The search engine strives to be as accurate as possible. The searcher or consumer, in this case, may browse through the results provided before making a decision on the site to engage with. Many searches will hardly go beyond page 1. Therefore, if a website is conveniently ranked on the first page, it has a higher chance of attracting visitors. As a result, always ensure your content matches the user-intent and you will reap the benefits in the long-run. According to ComScore, 50% of all searches will be voice searches by 2020. What this means is that voice search is not only a trend for 2019, but also for 2020. Some could argue that voice search alone is the future of SEO. This means that instead of typing in phrases in a search engine, users will verbalise what they are searching for regarding services and products. This also includes information they may require for research purposes. Websites should strive to put themselves in the position of the searcher to better understand what they may be looking for. This way, they will be able to figure out what action to take to ensure that searchers get the desired results quickly. Looking to get through 2019 with a slow loading website? Good luck. Many searchers will not hang around a site that takes longer to load, especially in 2019. Not when there are so many other sites with similar products and services. Google strives to ensure that results are found as quickly as possible. How fast a website loads is a deciding ranking factor in Google’s algorithm (Source: Google Webmaster Central Blog). This goes for both desktop and mobile versions of pages. A website must, therefore, consider the metrics that matter to Google regarding page speed evaluation as they factor in optimisation. Business owners must consider that there are search engines other than Google. In fact, YouTube is a force to reckon with as is Facebook. Consequently, sites should seriously consider making their presence felt on these search engines as well. In 2019, it will not be about optimising for Google only. 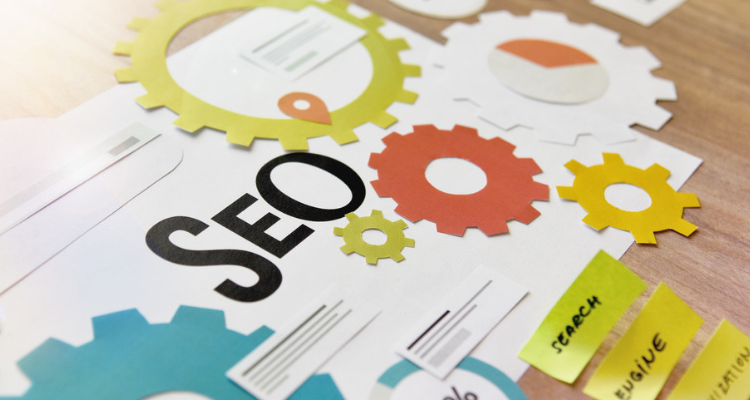 SEO is, after all, about getting results wherever users choose to perform their search. Businesses must strategise how to drive traffic to their websites through various avenues. Major brands have maintained their presence on Google while also venturing out on other platforms and establishing themselves as an authoritative figure in their industry. They gain visibility for their content and ensure that they reach their target consumers on other platforms to attract a larger audience. One thing we will know for sure about SEO is that changes are constant. Trends will come and go, and businesses will have to adjust if they want to feature within search engines. Search engine optimisation is a moving target, but if you know where to aim and when to pull the trigger, you will enjoy sustained online success. Airon Rodrigues is an experienced search engine optimisation specialist with a demonstrated history of working in the digital marketing industry. Airon is the founder of Search Consulting, a full-service SEO company in Perth, WA.